Travel There are 12 products. 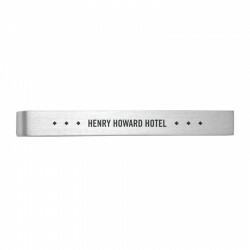 This sleek and stylish personalized tie clip is available in a stunning brushed gold or silver finish. 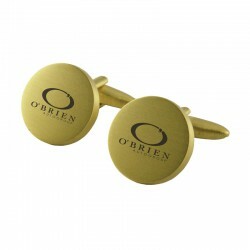 These exquisite, custom-engraved cuff links are available in an elegant brushed gold or silver finish. 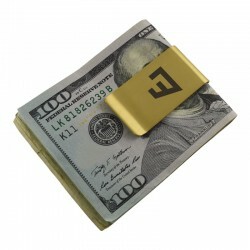 This sleek and sturdy personalized money clip is available with an eye-catching brushed silver or gold finish. 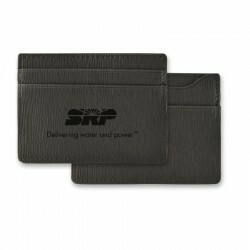 This customized passport holder is made from a suede-like material imported from Italy, and features several convenient pockets. 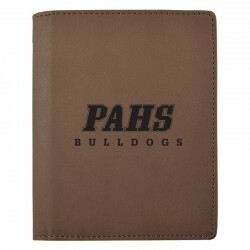 Get an amazing deal on this brown model! 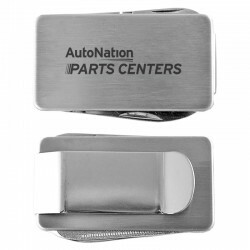 This personalized, multi-function stainless steel money clip includes fold-out scissors, a knife, and a nail file. 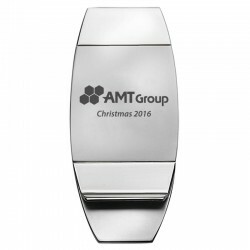 This sleek and stunning personalized money clip has a two-toned silver metal finish. 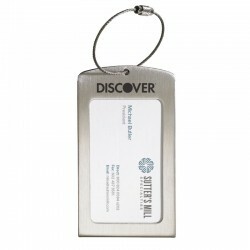 This custom-engraved, stainless steel luggage tag has a slot and viewing window for inserting standard business cards. This personalized manicure set is perfect for travel, work, or home use, and comes in a zip-close case. 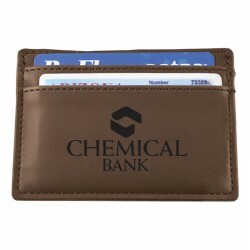 This slim and stylish, personalized wallet has a built-in money clip and space for ID and credit cards. 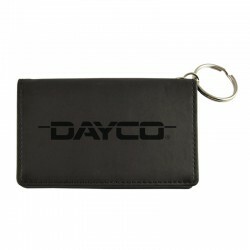 This beautiful, personalized luggage tag is available in multiple colors of rich, durable velour. 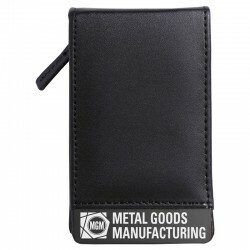 This custom-engraved ID holder has a large imprint area and several convenient pockets – plus it can attach easily to a key chain.